Post-Church breakfast today was the Original Pancake House, I thought it was a local place but I found out it’s a chain. 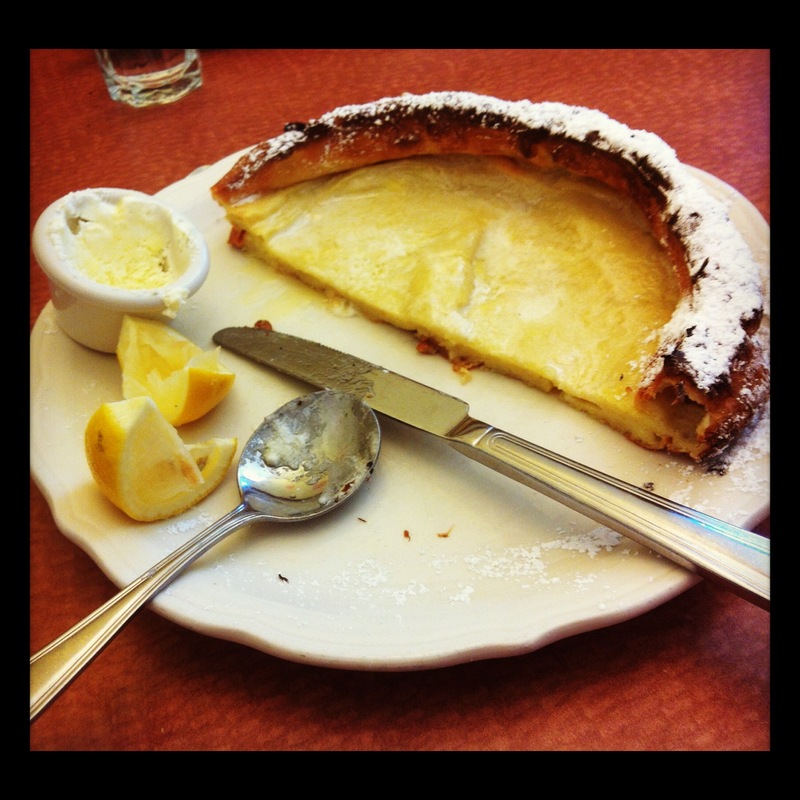 I’m not sure how many are out there, but if you find one near you then you must experience the Dutch Baby Pancake. It’s baked in the oven rather than fried in a pan. Presented with the lemon, butter, and powdered sugar it can be intimidating. The manager came by and showed us how to tackle it the first time we ordered it. You spread the butter in the hot cake, squeeze out a lemon wedge or two, depending on how tart you like it, and sprinkle in more powder sugar. It’s tart, sweet, buttery, hot drippy goodness! We usually get one for sharing because it is a big dish. As we left the pancake restaurant we heard drums and saw some bright flags down by the Tea Lounge. 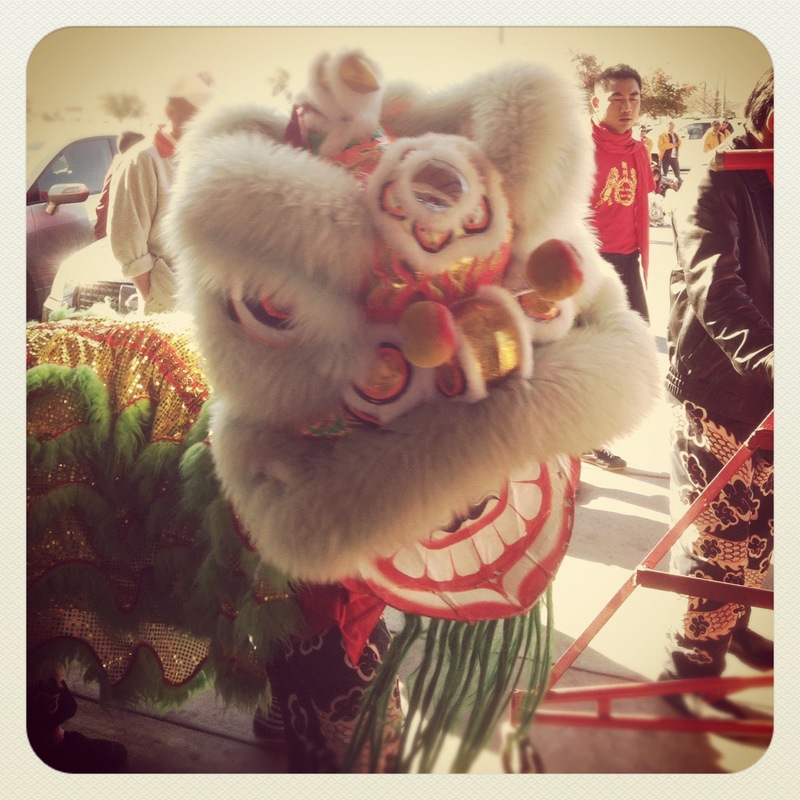 It was a celebration for Chinese New Year with dragons and music. 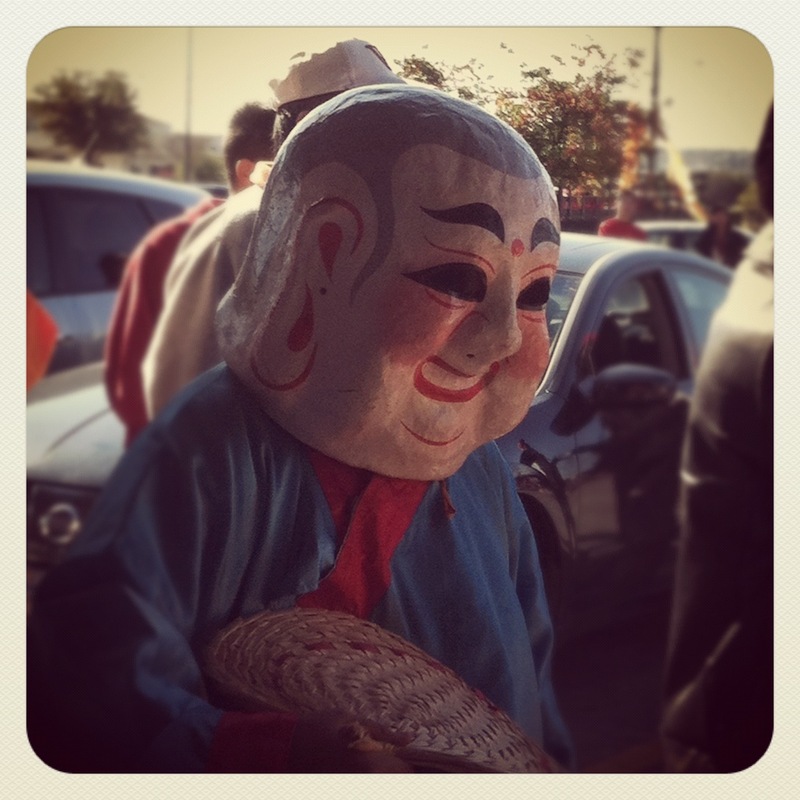 One of the best things about Austin is the diversity, and the fact that every weekend there is something going on! I shall call him Dances with Dragons. This week should, hopefully, be a pretty quiet week leading up to Friday – then it’s Wicked!! The kids are hooked on the soundtrack and can sing along to most of the songs. My oldest daughter that is going with me is getting more excited by the day and so am I. Then Saturday is the father-daughter dance so it will be a busy, busy weekend. Both daughters get to go with Daddy this year so I may do something special with my boy, maybe take him to a pinball arcade? Bowling? I’ll have to think on that. This entry was posted in Parenting, Project 366 and tagged Austin, butter, dancers, Dragon, dutch, dutch baby, Instagram, lemon, pancakes, project 366. Bookmark the permalink.